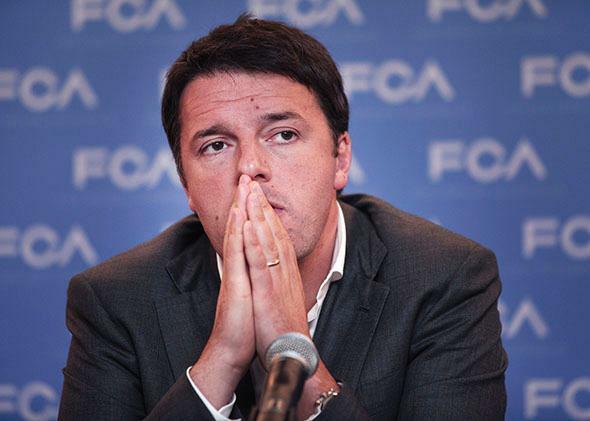 Matteo Renzi interview: Italy’s prime minister on labor reform, Iraq, ISIS, Ukraine, and more. An interview with Italian Prime Minster Matteo Renzi. Matteo Renzi, the prime minister of Italy, was in New York for the U.N. General Assembly last week. Lally Weymouth: Italy has been in a long recession. You seem to say you can change the country. Do you think you can? Prime Minister Matteo Renzi: We can change, and we must change. After years of stagnation, I think that this is the moment in which Italy can realize the things we’ve waited for years. How many years has Italy spoken about labor reforms? How many years has Italy waited for constitutional reform and waited to cut through the red tape of bureaucracy? … Paradoxically, the crisis is the reason we must change. Without change, it is impossible to believe in the future. You are trying to change the labor laws, correct? The labor market and legislation has been blocked for years [by old] legislation. If you are young, it’s impossible to understand because this is a system focused on the past. In the digital age, it is impossible to continue with the old system. So, we must change the labor market system. You have met union opposition to some of your reforms. At this moment, the unions are against my proposals. In general, I think the role of unions is important. But it is important for me to give a message that, if unions are against this proposal, please let us continue and go ahead. We are not stopped by the fate of the unions. How will your proposed reforms change things? The future system in Italy will require a strong reduction in the number of laws. Secondly, it is important to permit an entrepreneur to choose a worker and to decide if necessary to fire him. But the central government will sustain the worker who has been fired with the possibility to enter a training program and, if they finish the training program, to accept a job from a national agency. So there will be an agency offering jobs? Yes. In the past, it was impossible to fire people. If you had more than 15 employees, the worker had the possibility of going to court. Do people like your message? I believe that people are on our side, not on the side of the unions. Everything must change in Italy. And it will change. It is easy to explain but not easy to realize. If it were easy to realize, somebody else would have done it. Italy needs a radical change. Italy has been in recession for about six years. … Do you agree with the president of the European Central Bank, Mario Draghi, that the Italian economy needs to be stimulated? It is a good idea. Obviously for me it is important to hope for a different approach because austerity is not sufficient. We absolutely must invest in growth in every field. For this reason, Draghi’s decision was key. Turning to foreign policy, your country has been quite friendly with Russia. My country has stayed in the European institutions and in trans-Atlantic unity with the United States of America. We took the same decisions as the European institutions and the Americans. It is important to hope for a different strategy by Russia in Ukraine—to implement the cease-fire and the peace process. Many view the cease-fire plan as a partition of Ukraine. I am not prime minister of either Ukraine or Russia. I know that when there is a possibility of a cease-fire, it is important to continue in this direction. What are your views on President Obama’s fight against ISIS? I think it is absolutely correct to solve the problem of terrorism in Iraq and Syria and Libya. The decision about strikes is a very strong decision. We are ready to ensure all the support [needed]. For the moment, the requests [of Italy] are humanitarian and logistic support. Did you grant the U.S. the use of the Aviano Air Base? For airstrikes, our policy is that we need a very important commitment from Parliament to participate in the strikes or for military intervention. I stay in the international coalition. We will ratify what is important. For example, in the last 12 years, Italy has participated in Afghanistan, Iraq, and Lebanon. I don’t know what the role for us could be in Libya, in Iraq, in Syria, or in other countries. We are ready to decide together with our partners the current strategy. For the Italian Parliament, there is a difference between Iraq and Syria. Iraq is a government which asked for intervention. Syria is different. For Parliament, the issue is the legal basis. We are ready to do our part in this coalition. So you haven’t decided what you are going to do? I was in Irbil and Baghdad in August. I watched the pictures of children being executed. I was the first prime minister to stay in Kurdistan. We have been ready to participate in an international coalition for many weeks—not just today. For me, the emotion in Iraq and in Kurdistan was incredible. I was a kid when Srebrenica happened in 1995. I saw the genocide, and I promised myself that, if I was in a responsible position, I would not accept the possibility to see such these stories again—when women were abused in front of male prisoners. Men killed in front of women. It was incredible. Now there is a genocide and we must stop this massacre. We are ready to act according to international laws and the Parliament, but we are absolutely committed to this battle.